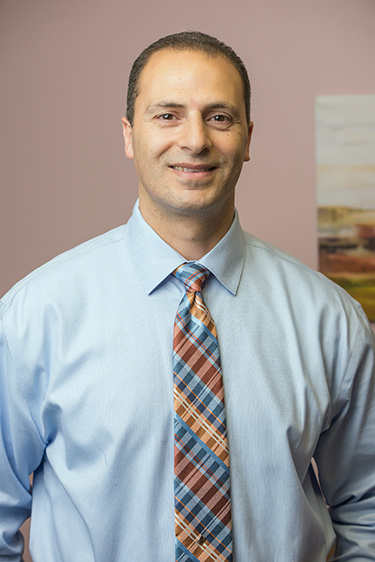 Dr. Khoury received his Bachelor of Science degree in Bio-Chemistry from Bridgewater State College and his Doctorate from Palmer College of Chiropractic in 1995. In addition to chiropractic, Dr. Khoury is an expert in the fields of nutrition and functional medicine and utilizes his knowledge to help his patients get the best possible results at our wellness clinic. He is also very successful in treating injuries of the extremities such as TMJ and Carpal Tunnel Syndrome, as well as injuries sustained from sports, work and auto accidents. Dr. Khoury is involved in his community and is a past president of the Dedham Rotary Club. He spends his free time with his wife Dr. Dawn Khoury and their three children Kiersten, Colin and Kyler.